Time for some little news here. Let’s make it quick and efficient! We’re currently working hard on Toto Temple Deluxe for Ouya, as you may know, but we recently took a little break to attend the 9th edition of TOJam (Toronto Game Jam). This is our 2nd TOJam, as this is where we made the original Toto Temple last year. In case you don’t already know how TOJam works, they gave us the theme about a week upfront so we could start brainstorming and planning a bit (this year’s theme was “After you”). 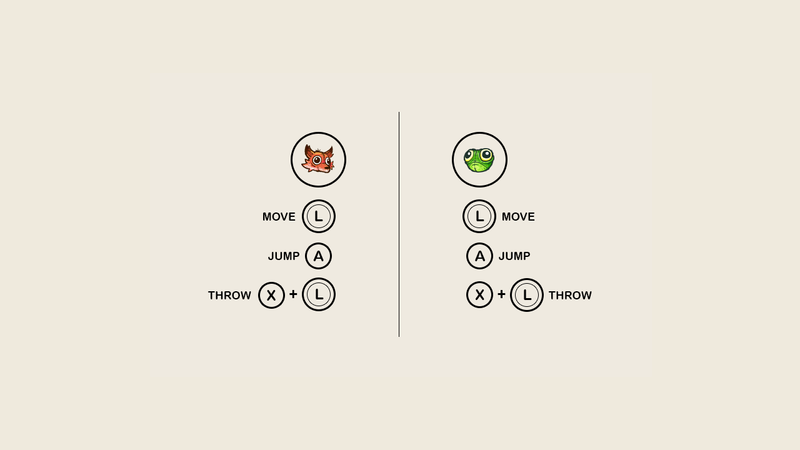 We went through a lot of different ideas, even during the jam (see below), but we eventually ended up with a little game called FROX (download it here for free). 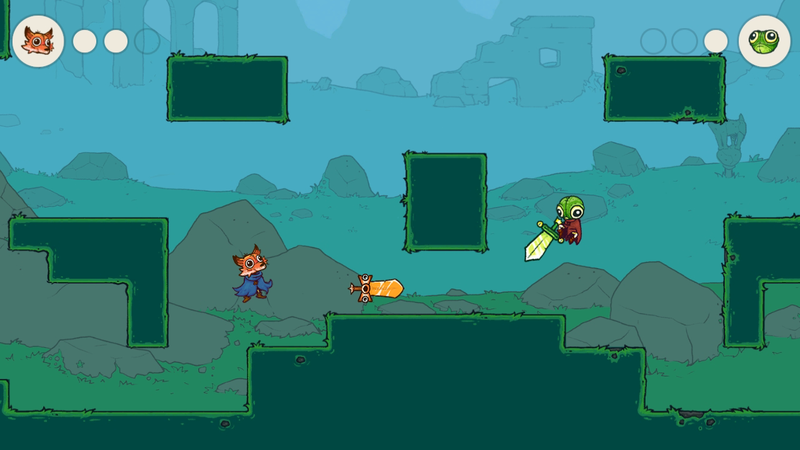 It’s a multiplayer sword-throwing combat game, where you need to throw your sword in your opponent’s face (or back, whatever). The thing is you also need to catch it as it bounces back at you if you miss (you know, basic sword fighting stuff). PHASE #1: Our initial idea based on the theme (after you) was to have a combat system based on items you throw at your enemies and that you need to manage / pick up afterwards. It means that throwing a projectile doesn’t end after you “pulled the trigger”, you still need to go after it and get it back to use it again. 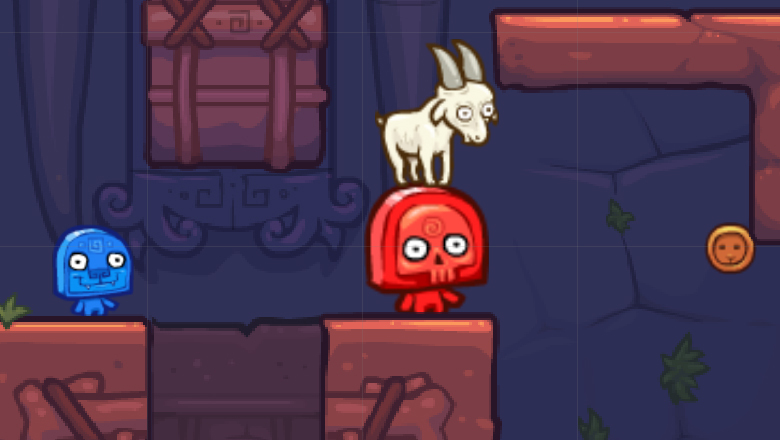 We were aiming for a kind of Spelunky vibe where you need to be careful with your movements and where you must think a little bit before acting / planning your moves. 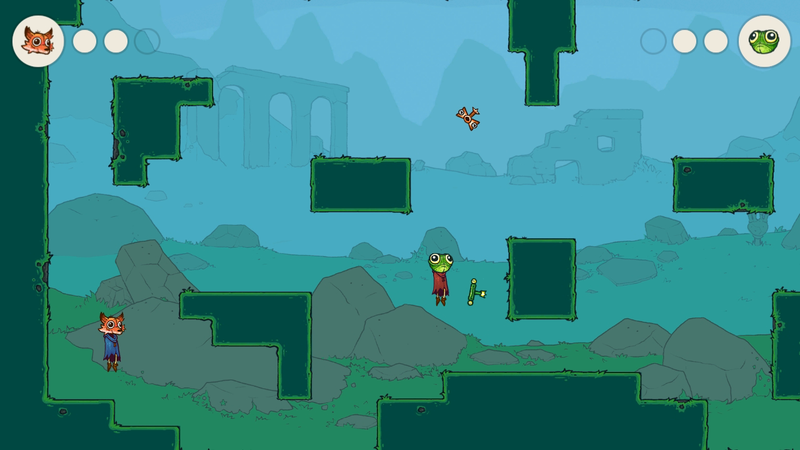 We wanted to make a test level to see how it would turn out (design a couple basic enemies, traps, etc). We also wanted to be able to throw anything, like rocks, bombs, swords, which would all behave differently. We ended up with a prototype where we could throw a rock and pick it up afterward. 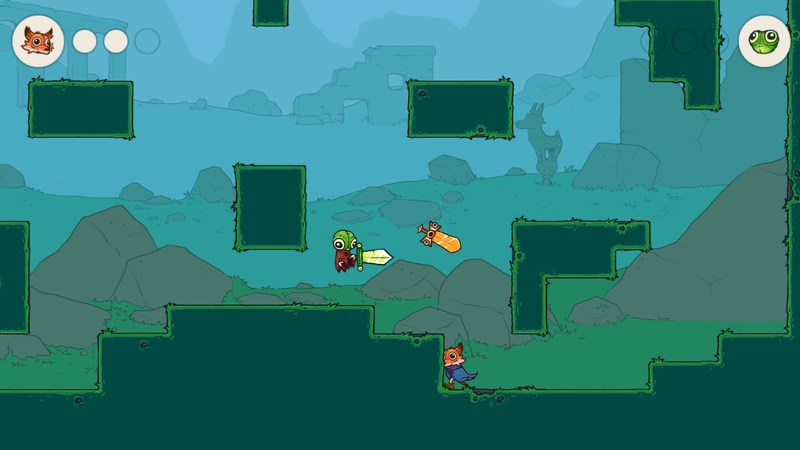 Not much fun by itself, so we added a bunch of basic enemies, and replaced that rock by a sword (more like a staff at that point, but you get the point). PHASE #2: Even with all the new assets in, the prototype was still pretty dull. 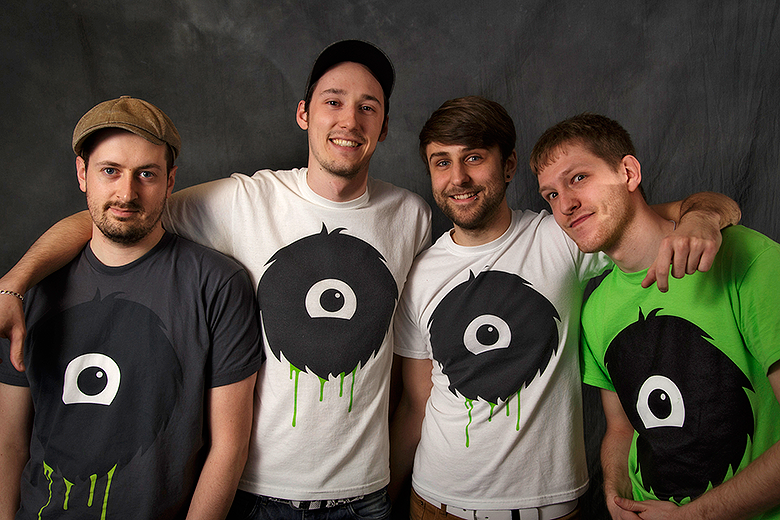 We knew that to make this concept more enjoyable, we would have needed to design more complex enemies, traps and levels. Obviously, we had no time for this. 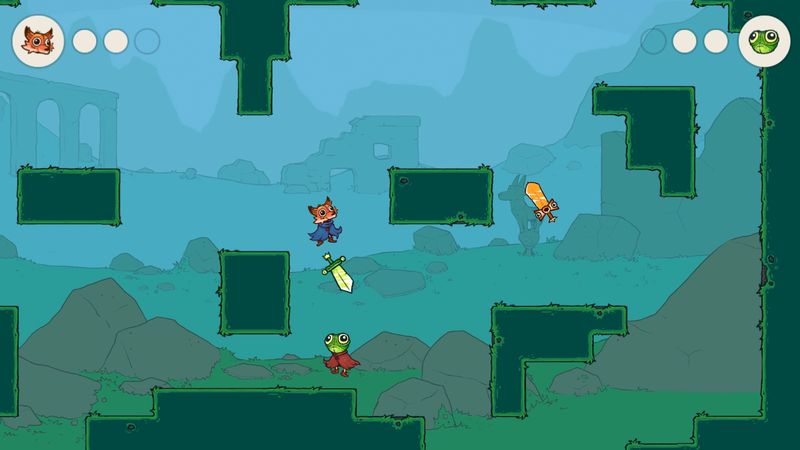 On top of that, we took a closer look at a game called Catacomb Kids, by Tyriq Plummer, and it was very very close to what we had in mind, our ultimate target. PHASE #3: Instead of pushing further and eventually end up with something just like Catacomb Kids weeks (or even months) later, we decided to tilt our design direction a bit. At this point, Alex started playing around with the sword mechanic. It was already possible to throw your sword and catch it back as soon as it bounced on something, and that little part was kind of fun. We experimented a bit more on that, and Alex (our wizard programmer) came up with the throw mechanic you can see in the video above. 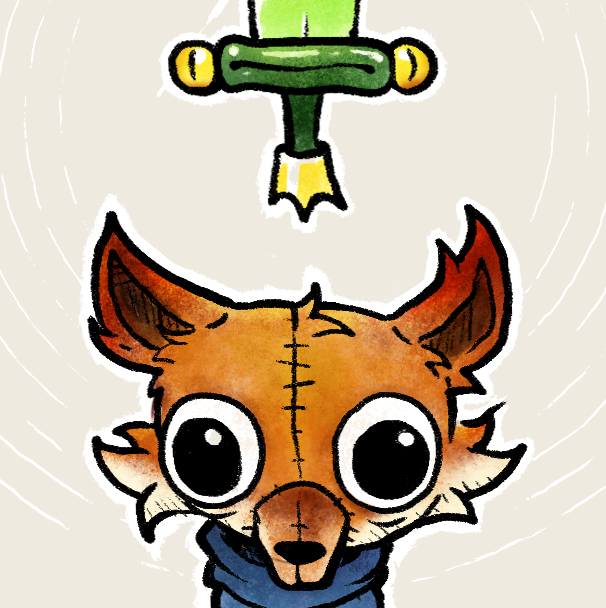 Now your sword is bouncing all the time and is always trying to get back at you. You just need to pick it up. At that point, we had the throw mechanic and a bunch of stupid enemies (which wasn’t that bad) with about 10 hours left to the jam. We didn’t have any time to design complex enemies and levels (or different weapons), so Dom suggested that we test a 1 vs 1 version of what we had already. We really wanted to make a single player game this time, but we just assumed that we could work more on that after the jam if we wanted to. PHASE #4: So we’re in for the final hours, with what is now a multiplayer game where you throw your sword and catch it back as it bounces. 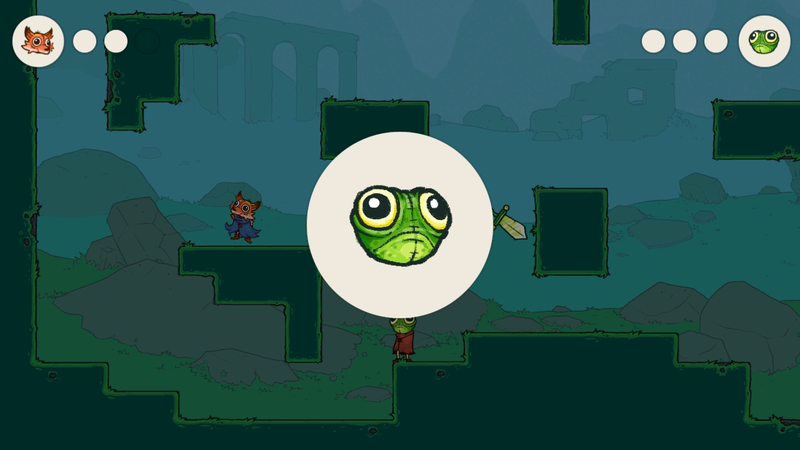 We quickly designed a new character (the frog) for the 2nd player and tweaked the code a bit to make it work as a 2 player game. It ended up being pretty fun, even though it had a pretty obvious Towerfall / generic 2d shooter vibe to it. We had a really different approach with art this time. 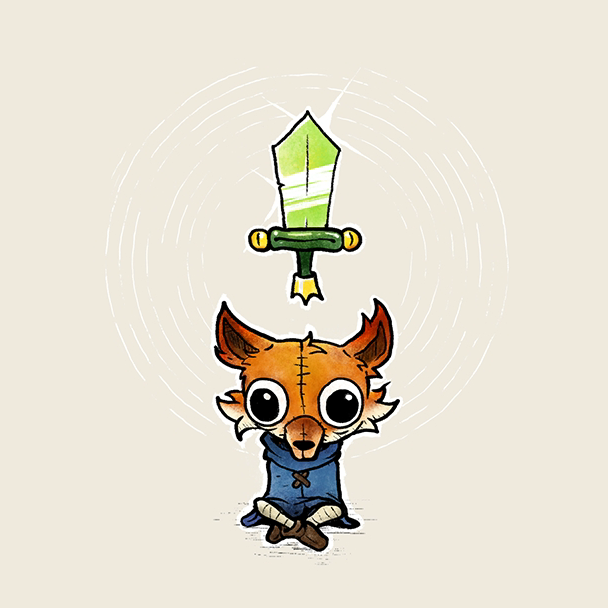 The initial concept art for the fox character and his frog sword came from Yowan, which was then remixed (and upgraded) by JP. For the first time, we went away from Flash and tried something different with Photoshop. We used a bunch of art brushes from Kyle T. Webster to make our lines a bit more sketchy. We also used some watercolor brushes for coloring on this piece (below), which is pretty far from our usual style. JP drew the basic animation frames in Flash to get a good idea of the pace and feel, which we then converted to Photoshop to skin over. Once everything was done in PS, we saved all frame individually and imported them on top of JP’s previous Flash animations. It might sound like useless extra work at this point, but we were still using our own Flash to Unity exporter. It’s actually pretty useful to name each frame based on the animation, as well as to handle keyframe events, etc. It might not have been THE best workflow for Photoshop, but we managed to get everything done pretty easily nonetheless. If we’d ever want to tackle a bigger project using PS for art, we’d probably develop a faster way of exporting everything. We don’t know yet, but we have a bunch of ideas in mind for that game. We’d really want to make a single player experience out of it, but we have a lot of work to do first on our current projects. Maybe this will end up being our next big project. Maybe not. What do you think? Thanks! But we weren’t inspired by Towerfall. As mentioned above, the game went through a lot of different phases before ending up like that. We totally see the resemblance with that kind of game though! If anything, we thought about a game which’s name escapes me. It was a jam game where you had only one arrow to fight 4 bosses, it felt a little like Shadow of the Colossus for this, but had a top-down point of view a little like Legend of Zelda: A Link to the Past. Did you mean Titan Souls? Where you had to pickup your arrow after firing it? I’d love to play this game with friends, it also reminds me of Gentleman’s Dispute: I had a lot of fun challenging my friends! If this game actually evolves, it can only be in a good way! I love the innovation that is achieved through continuously iterating for game jams. Awesome mechanics and gameplay, do you plan on fleshing it out for release? Just check the “What’s next?” section of the article, it pretty sums up what we feel about the future of the game 😉 Furthermore, we’d like to keep the multiplayer part of the game, maybe as a bonus mode, of course It’d be polished if it reaches release state.